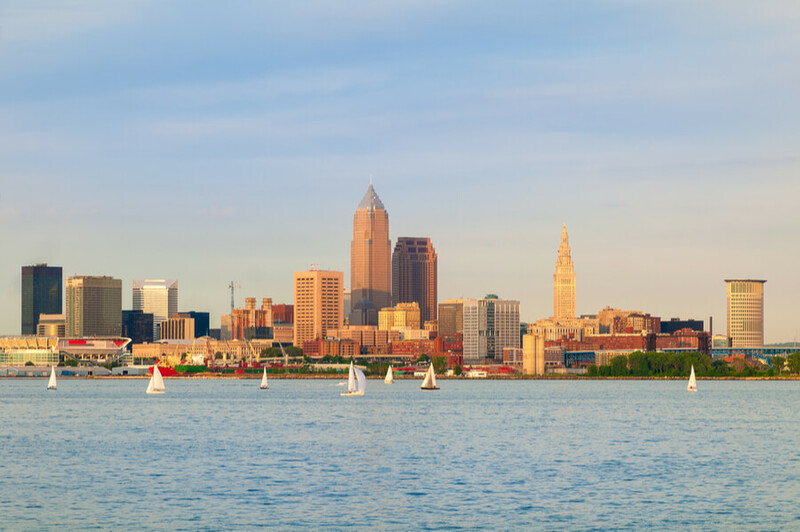 Located in the city of Cleveland, Ohio, Stella Maris is a substance abuse treatment facility which provides treatment services to people of Greater Cleveland dealing with drug and alcohol abuse and has been doing so for more than 70 years. The center opened its doors in 1948 when Father Otis Winchester and some other individuals identified the need for a place to accommodate and support homeless men dealing with alcohol dependency and seeking recovery. The residential facility was originally able to house 11 men going through the process of recovery but now has the capacity to house up to 38 men at a time. The center seeks to provide comprehensive, individualized, and holistic care for men and women to help them live a life free of addiction. The facility claims that more than 95% of clients who seek help at the center are at or below the Federal Poverty level. The facility provides treatment for more than 1,800 persons yearly through a set of services and programs called “continuum of care”. Through private and public funding, the facility has expanded to offer these programs and services including detoxification services, intensive outpatient programs, and a partial hospitalization program. Additionally, the center offers a two-hour-per-week family counseling program, recovery housing, and supportive housing for men. The facility has one building for residential treatment, one for medical detox, and one which operates as a “community recovery center”. The center’s recovery housing can accommodate both men and women—men in the partial hospitalization and intensive outpatient programs may live in the 46-bed dormitory while those in the sober living facility stay in a 10-bed house. Women in both of the programs are housed in 9-bed houses. The center prohibits the use of personal electronic devices, since utmost attention is paid to long-lasting recovery without distractions, and clients have little contact with the outside world. The facility also has an amphitheater and a coffee shop. The medical detox program is designed to help individuals go through the painful process of withdrawal from opioids and opiates more comfortably and safely. Clients are supervised by compassionate, caring professionals and are provided with personalized treatment plans. The program lasts between 5 days to a week. The Intensive Outpatient Program functions to assist persons as they adjust to school, work, and family life while receiving treatment. The program provides mental health and chemical dependency services including counseling, training, educational forums, and 12-step meetings. The center also offers 4 weeks of recovery management and 8 weeks of case management and intensive counseling. The Partial Hospitalization Program (PHP) is structured and lasts for 2 weeks. Medication is managed by the staff members and patients are given enough support to transition smoothly to the outpatient program. Stella Maris offers free treatment to clients registered under its rehabilitation program but most must undergo detox which costs $2,100. Clients are advised to contact the facility for more information on treatment, admission, and payment. The facility is a Level Four We Honor Veterans Hospice Partner, and a recipient of the honorary silver achievement quality award, from the American Healthcare Association and National Center for Assisted Living. The organization as aforementioned has various bonus amenities available in The Gallagher Center. The facility’s structure was created in a way to accommodate different activities such as a coffee shop, and an amphitheater for lectures and events. This structure helps to create a sense of security, and a comfortable environment for both new and existing clients to connect and encourage support while growing through rehab. Although the organization is a no-nonsense, strict, no-frills rehabilitation center, it recognizes that its clientele requires this kind of care and not pampering. Recreational activities and amenities are light as it caters to clients mostly 65 years and older. In entirety, the facility offers well-rounded and comprehensive treatments to clients seeking rehabilitation care. Clients seeking treatment at a facility that offers a structured treatment in a serious fashion, with both residential and outpatient services will find Stella Maris to be a good option.